As a New York City resident, I know firsthand that Manhattan is experiencing a street and sidewalk congestion that we've never seen before. And, here as well as across the nation, both motorists and pedestrians are seriously distracted -- whether it's from staring at their cell phones or plugged into their headphones. Numerous agencies and reports -- here and here -- document that distraction is a major cause of pedestrian accidents and, more importantly, fatalities. I'm not one of those distracted pedestrians. Whenever I am in a crosswalk, my head is rotating left and right the entire time I'm crossing, making sure someone, whether a motorist or cyclist, isn't about to cut me off, despite the fact that I have the right of way. But, I've found that despite my contentiousness, whenever I'm in the crosswalk, drivers and cyclists making a left or right turn appear to not see me or perhaps choose not to. Recently, I was walking across the street with two out-of-town friends who just assumed if the light was green, they could barrel ahead. A truck turning left almost struck both of them, if it wasn't for me pulling them both back. So what's the solution? Over the past two years, I've been using a tactic based on what traffic control officers have long used: I hold a brightly-colored object in my hand and, using my outstretched arm that's facing any potential oncoming traffic, and I wave the object. It might be an umbrella, book, scarf, shopping bag, newspaper still wrapped in plastic, and so forth. You get the idea. I use this method each and every time I cross the street and I can't tell you the number of times this colorful arm/hand motion has piqued the driver's attention. 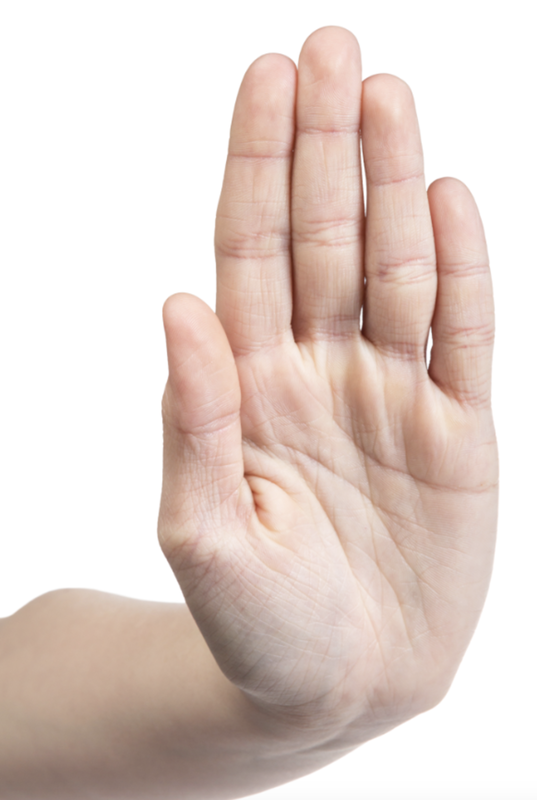 And, if those off times when I don't have an object to hold, I extend my arm with my hand flexed, palm out and fingers outstretched in the well-known "stop" signal as seen below. At first my friends and colleagues thought these gestures looked fairly odd. and too embarrassing to mimic. But they saw the results as they crossed busy Manhattan streets with me. 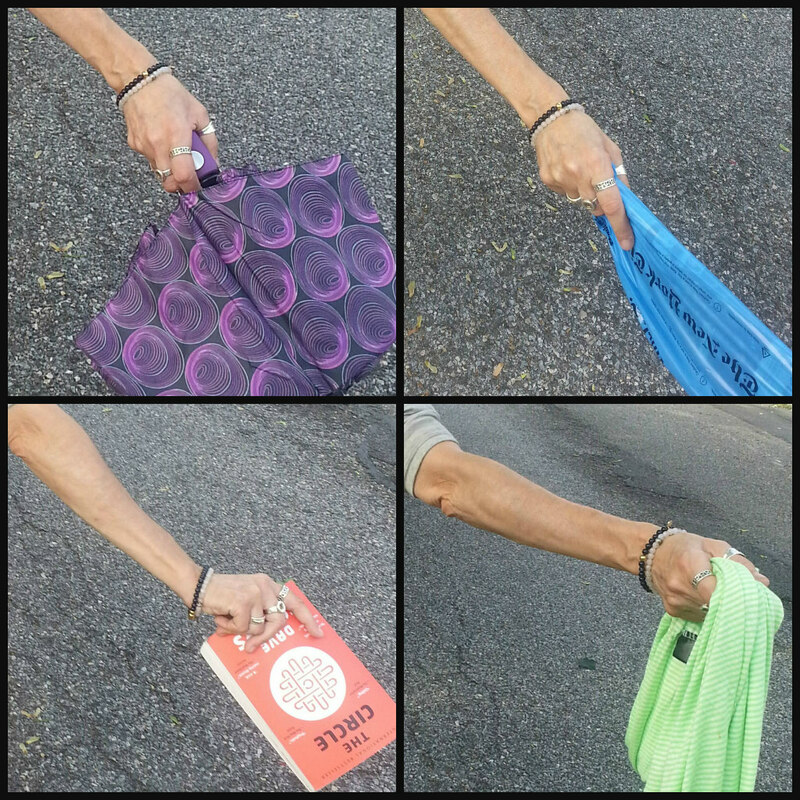 Cars stopped when they saw me waving a purple umbrella or a bright green scarf or using the "stop" hand signal. Of course, none of these gestures obviates me from still looking right, left and all about as I cross, just in case the driver still missed me. This is hardly a controlled study. But it's worth a try. I've used these strategies when I'm traveling all over the world. After all, NYC doesn't have a monopoly on out-of-control drivers.